For people traveling up to Humboldt County from the south, one of the changes they might notice on the drive is the change of sounds. But it’s not the quiet coastline and redwoods they hear, it’s the radio programs in their car. 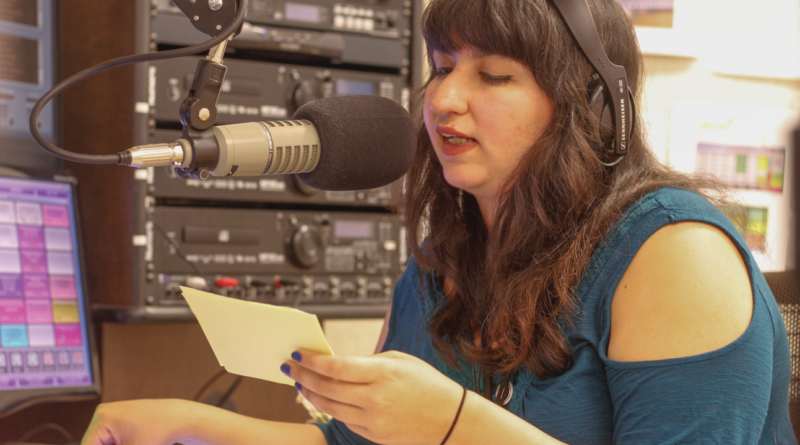 Although there are more than 20 radio stations within range of Humboldt State University and the surrounding area, none are broadcast in a language other than English. With over 2,800 Hispanic/Latino-identifying students (according to a Fall 2016 report by the Office of Institutional Effectiveness) and more than 15,400 Hispanic-identifying residents (according to a July 2016 estimate by the U.S Census Bureau) throughout the county, some would argue that it is time for a radio broadcast that serves the Spanish speaking community. Today, community members between Fortuna and Trinidad can listen to Radio Bilingüe at 95.5 FM or online. 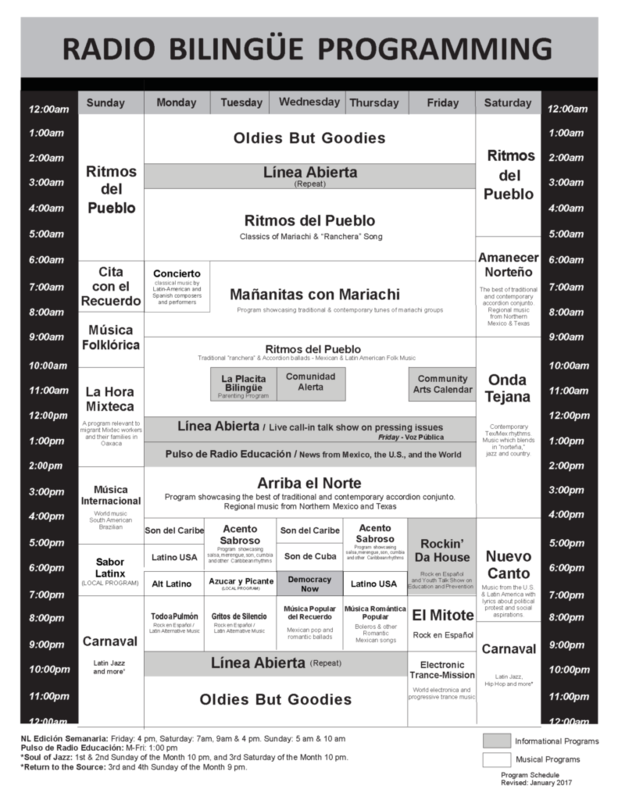 With a range of programming, listeners can tune in throughout the week to Ranchera music with ‘Ritmos del Pueblo,’ South American music with ‘Música Internacional,’ and world news with ‘Pulso de Radio Educación.’ There are also plans to increase Radio Bilingüe’s programming with more local news, community calendars and alerts. With roots in California’s Central Valley, Radio Bilingüe originally began in 1980 as a station that served its Latinx farm workers. 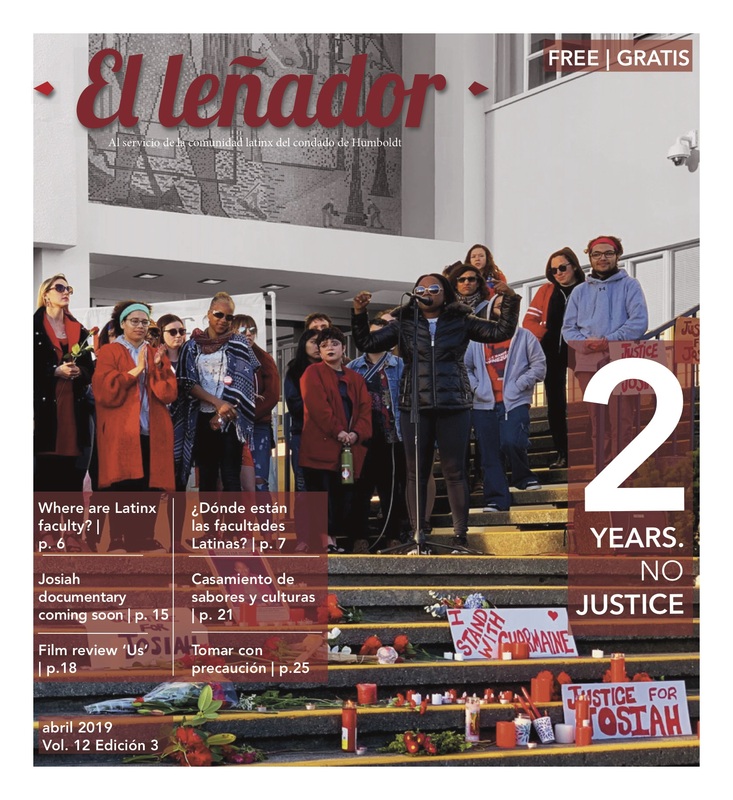 Today, it is the only producer of national Spanish-language programs in the public radio system and serves as a powerful source of news and cultural information for all Latinx across the United States, Puerto Rico and Mexico. 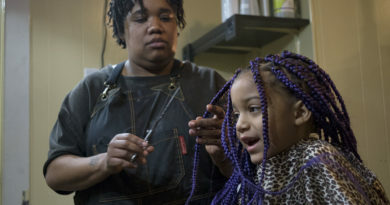 The radio broadcast is fostering multicultural identity by creating a platform for other members of the larger community, which includes African Americans, Pacific Islanders, Hmong and Indigenous peoples. While the introduction of a bilingual radio to the local area is long overdue, it would not have been possible without the ongoing efforts and collaboration of many in the community. 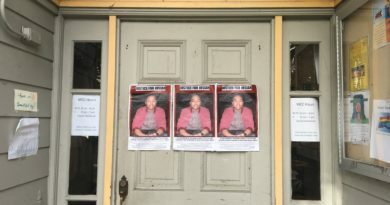 Among those who advocated early on is Fernando Paz, coordinator of El Centro de Latinx para la Excelencia Académica at HSU. 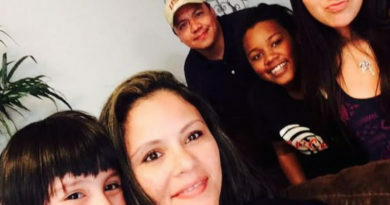 While working in the Latinx community, he saw the importance of Radio Bilingüe. Although they feared they would never see their families again, hearing their language brought them a familiar sense of comfort. Over a span of two years, with multiple community members and organizations involved the community came together to make it a reality. Efforts are being made to expand its frequency range south to Mendocino County and as far north as the Smith River community in Del Norte County. During a community meeting on Aug. 24, Alejandro Dominguez, of Crescent City, spoke to a group that included the Humboldt Area Foundation, KHSU, True North and HSU President Lisa Rossbacher. Through a Spanish interpreter, Dominguez shared the necessity of bringing Radio Bilingüe further north. Beyond feeling included in the larger community, Dominguez spoke on the importance of sharing opportunities, improving public safety and disseminating information. The Humboldt Area Foundation has committed to seeing through with $50,000 in technical improvements. A rough timeline could put the improved station on air in Mendocino, Humboldt and Del Norte counties about a year. 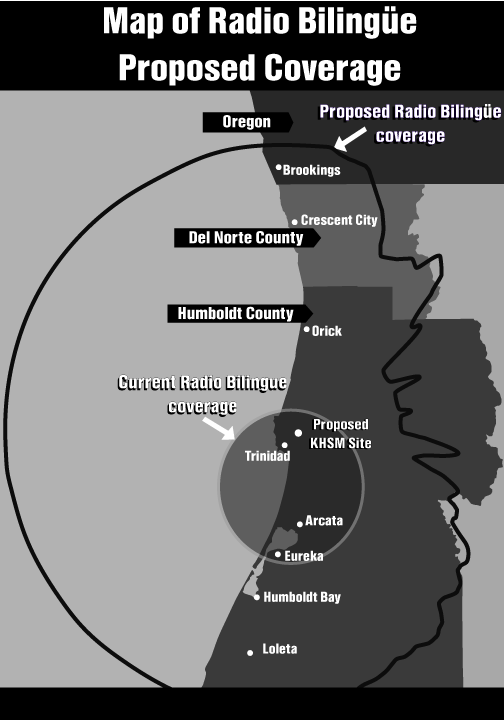 Peter Fretwell, the general manager at KHSU, shared that if there is enough support and funding to move to a better broadcast site, with stronger antennae and frequency, Humboldt County’s Radio Bilingüe will increase its range. However, there are still a few more steps to take before Radio Bilingüe can make the technical jump. One of the steps would include waiting two to three months for the FCC to approve their new station filing, as the current station is only temporary. The story of Radio Bilingüe has been one of collective effort. 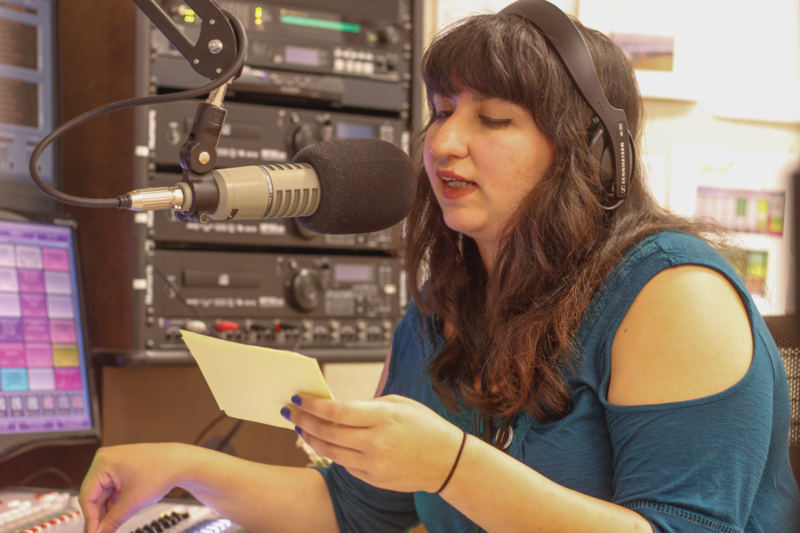 Natalya Estrada, KHSU reporter and one of Radio Bilingüe’s content producers, believes it will only grow stronger with more support.